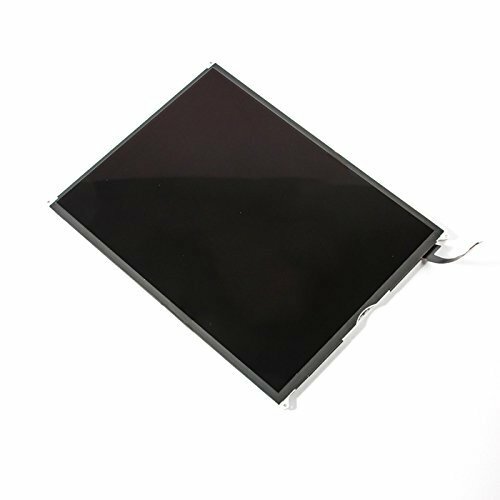 Srjtek LCD Screen Replacement Parts for Ipad Air 5 ,Display Screen for A1474 A1475 A1476 | Replicafer Co.
Srjtek Screen assembly For iPad Air 5,The Screen includeLCD Display Parts Replacement. - This is LCD Touch Screen Compatible with iPad 5(iPad Air) for repairing. 1.Disconnect the battery cable before installationor make sure your device is powered off. 2.Pls Providingprotection for your mobile phones after repairing,you can cover the temperedfilm we offered or add a phone case to avoid breaking. 【Original Replacement】The LCD Screen is supplied by Original factory,so it can perfect compatible with your device.The screen assembly compatible for iPad 5. 【Strict Quality control】All the iPad Air screens are 100% tested with original machine before shipping, make sure no scratch and dead area in LCD. Pls connect the flex cable to test if it is in normal operation before installing. 【Full Protection Package】The LCD screen you bought will be in perfect protection,it will be packed in Strong box,and surrounded by thick foam,which can prevent the screen from damageing during shipping. 【Package Contains】1 X For iPad Air 5 LCD Screen Assembly ,1 X Glue Tape,1 X Repair Tools,1 X Tempered film . 【After-sale Service】we guarantee 6 months for our products,if there are any non-human factor quality problem,we can exchange it in 6 months! *The parts damaged during installation are not accepted for return.so we suggest you find the professional to help you with the installation to avoid some unnecessary damage.